Hawayo Takata and her Reiki master, Chujiro Hayashi, brought Reiki practice from Japan to Hawaii in the 1930s. Takata later brought the practice to the mainland United States. Susan Mitchell and her husband Paul Mitchell were students of Mrs. Takata starting with their First degree class in San Francisco in 1978. We are privileged to have Susan share with us Mrs. Takata’s nerve stroke. Hawayo Takata ended all of her treatments with a brief massage and nerve stroke down the spine. The most memorable demonstration of this closing stroke that I witnessed was during a class Paul and I organized for her at our San Francisco home in October 1979. My mother-in-law, Millie, and her quirky, dramatic friend, Jeannie* had signed up for the class. After Mrs. Takata finished teaching the positions on the back, she was ready to demonstrate how to conclude a treatment. Her model was Millie’s friend. Takata asked Jeannie to raise her shirt and unhook her bra. It was instantly clear that the only massage Jeannie had ever heard about involved “parlours.” What ensued was a very funny interchange that had everyone, including Jeannie and Takata, in stitches. 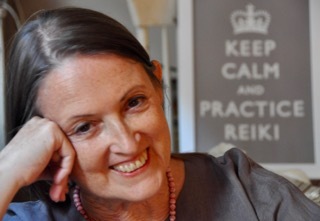 But how did Reiki treatments end, back in the day? The free hand rested on top of that hand to add weight. She drew the fingers down the spine to the tailbone. The motion was brisk and the stroke was repeated seven times or more. When treating someone with diabetes, Mrs. Takata reversed the direction, moving from the tailbone toward the heart, rather than from the top of the spine to the tailbone. She also applied this stroke to the arms and legs. Takata briefly massaged the arms and legs and stroked each extremity three times, moving from shoulders to fingertips and from the top of legs to the feet. Now she used all the fingers of the hand weighted by the free hand. For a person with diabetes, she reversed the direction — fingertips to shoulder/foot to top of leg — so that these finishing strokes again moved toward the heart. She massaged and stroked first the spine, then the arms and legs. What does the nerve stroke do? Applying the nerve stroke stimulates circulation and allows you to see on a lighter-skinned person where the blood flow is impaired—areas along the spine remain white while everything else turns pink. It’s also a simple way to bring closure to the treatment, supporting that shift from deep internal awareness to ordinary consciousness. Today, the nerve stroke is often not part of the First Degree class. Individual teachers have sometimes changed the practice. Professional health care licensing in many states has precluded manipulation of the body by anyone without an appropriate license. Hospital and research protocols may specify limits on how the client’s body is touched. **The nerve stroke is also mentioned in Mikao Usui’s handbook as part of Second Degree training. 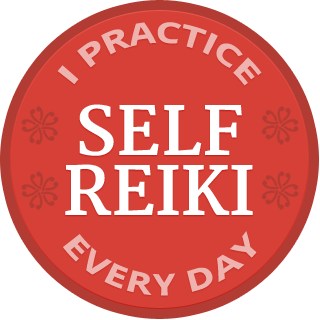 Join my email list to get free support for your professional or home Reiki practice. we were wearing. Reading about the history of this stroke is fascinating. Thank you so much for your educational information. Lisa, I’m pleased it was useful. Thank you for this valuable information!